It seems rather fitting that I end this retrospective by watching Bresson’s Au Hasard Balthazar (1966). A retrospective is to look back on a person’s work, and Au Hasard Balthazar is concomitantly both the first Bresson I ever saw, and the most recent one. It feels as if I have come full-circle with Bresson, and while watching it, I was able to take in much more than I did two years ago. I loved the film back then, but I was not familiar with Bresson’s filmic tendencies. Since, and especially by watching all his films in such a short period, I have been able to digest and fully appreciate Bresson’s technique, and, in doing so, I have cultivated a better understanding of him as the legendary auteur he is. Au Hasard Balthazar is widely regarded as Bresson’s best film. Both the They Shoot Pictures Don’t They top 1000 and the Art’s & Faith top 100 claim it as, not only his personal best, but one of the finest films of all time. I cannot agree more with this sentiment; the film truly is one of the most finely crafted, artistically driven, efficiently told, and spiritually awakening films I’ve ever seen. Regarding Andrei Tarkovsky’s concept of rhythmic timing, as described in Sculpting In Time, it is clear to see that Bresson films with such ascetic grace that his films slow down one’s perception of the movement of time. 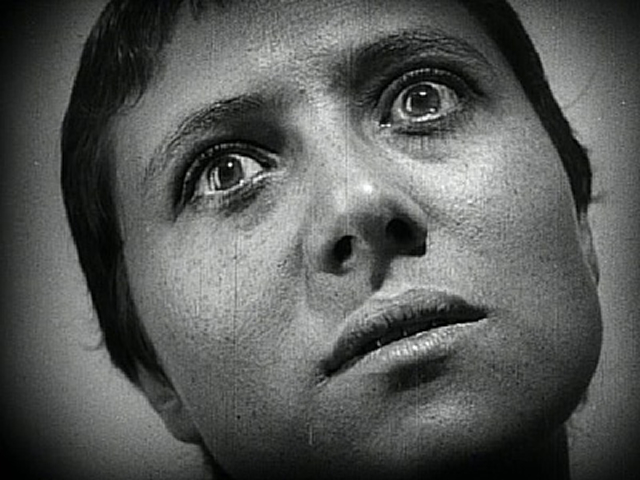 In Issue 2 of the Parallax, I have described this phenomenon by focusing on one scene: when Marie (Anne Wiazemsky) and Gérard (François Lafarge) sit in the car together, a one-minute scene takes place where the actions might have only lasted a few seconds; the movements of the characters are exceedingly slowed down, while the camera pauses briefly on still images — rendering the movement of time during these actions virtually still. The scene is shot in this way to accentuate details; it is minimalism at its finest. In its simplicity, the rhythm of the scene and the movement of time is slowed down so significantly that what might have been a ten second scene is explored in sixty. As a result, the viewer’s sense of time is altered, or transcended, in order to fit with the nature of time expressed within the film. While this particular scene exemplifies the concept, Bresson’s style repletes virtually all his shots with this sensibility. The film is quite evenly paced, with no long, extravagant takes. It is quite austere in that the cinematography, while imbuing the film with style, doesn’t draw attention to itself. The shots are all quite short, relatively mechanical, and alter between close-ups and medium-length shots. Due to their consistency, the viewer is drawn into the film, and there are no scenes that change their attention. When a film speeds up or slows down in pace, it causes the perception of the viewer to change, but, since the rhythmic timing of Bresson’s film remains the same throughout — from the introduction to the climax — one’s viewing of the film is rather peaceful, tranquil, and undisturbed. In the film, Bresson illustrates a powerful metaphor about resilience — that animals are capable of more. 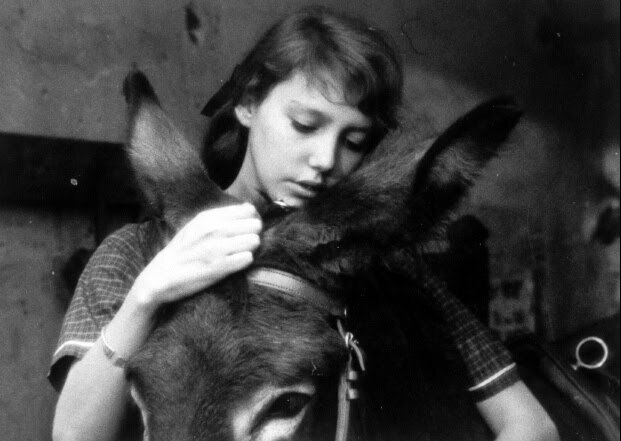 Drawing parallels between the donkey Balthazar, and the girl Marie, both of whom are beaten and abashed throughout their lives, Bresson forces the viewer to realize unpleasant truths about both the human condition as well as the treatment of animals. Though abused throughout his life, Balthazar, with animal instinct, and (seemingly) with love in his heart — for Marie, the only human to treat him well — is resilient until his demise. Even with a gunshot wound, he continues to persevere. On the other hand, Marie, though showing that even humans can be resilient and perseverant, illustrates that complex human emotions cause it to be much more trying. As she states to Jacques, she does not feel anymore — she has no more tenderness. Essentially, these arduous affairs that she has experienced has broken her spirit; the maltreatment has left her isolated, and unable to connect with the world. Bresson is known for being quite a depressing filmmaker, but this might be his most depressing. Though we are never given what happens to Marie, the way we’re told that “she will never come back”, and the way her father dies soon after this, suggests the possibility of her suicide — It’s not likely she could have merely gone elsewhere. In any event, the ending shares the same power as the ending of Mouchette, made just one year later. Though we are uncertain of the fate of either protagonist — Marie or Mouchette (Nadine Nortier) — we are able to see that, in both cases, there is loss of self, loss of humanity, and loss of will. Unlike Balthazar, who is like a child, the female protagonists of their respective stories are essentially beaten down — with hardship, not violence — to the point where they are forced to surrender themselves. No longer will they continue to strive to live in a world that abuses the mind, and disturbs the soul; they have reached a point of suffering where they simply must let go, and let spirit, and be gone. This entry was posted in Reviews, Robert Bresson and tagged 35 mm, Abashed, aesthetic experience, Andrei tarkovsky, Anne Wiazemsky, Art, Arts & Faith, Ascetic, Asceticism, Au Hasard Balthazar, Austere, Austerity, Balthazar, bresson, Cineaste, cinema, Close-up, Depression, film, Francois Lafarge, humanist, Integrity, let go, loss of fredom, loss of self, Material, Mechanical, metaphor, Minimalism, Minimalist, Mouchette, movie, Nadine Nortier, Pace, Pacific cinematheque, perception, Religion, Resilience, Rhythmic Timing, robert bresson, Robert Bresson Retrospective, Sculpting In Time, Spirit, Spirituality, Suffering, Suicide, Surrender, tarkovsky, Tenderness, They Shoot Pictures Don't They, Tragedy, tragic figure, transcendentalism, Truth. Bookmark the permalink.